But, the absolute best thing about this pudding was that I could make it in the confines of my college dorm room. A few simple ingredients, a bowl and a microwave were all I needed to bring a little piece of home to my dorm – even if just for dessert. A few nights ago, the hubs mentioned that we had some milk in our fridge that was ‘on its way out.’ He has never had this before, so I figured now would be a good time to make it. I made the first batch with regular unsweetened cocoa, but then for the second batch, I accidentally grabbed the Hershey’s Special Dark cocoa. What a wonderful mistake that was! The hubs, who typically prefers milk chocolate, did prefer the first batch, while I, who adores dark chocolate, gobbled up the second batch. 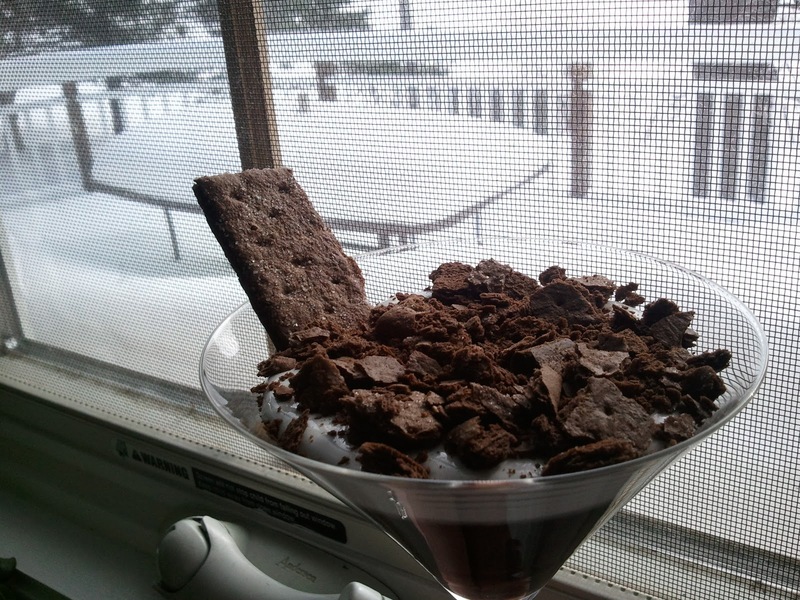 Then it happened… I found marshmallow fluff in my pantry and chocolate graham crackers. After the pudding set, I put the marshmallow fluff on top and crumbled on some graham crackers for a makeshift s’mores pudding dessert. It is amazing how simple pantry items can jazz up a relatively simple dish. The top picture has peanut butter drizzled on top of the whipped cream. Absolute heaven. I will be the first one to admit, though, that I have been known to be caught with a spoon in hand and my head in the fridge, eating it straight from the bowl – though I promise I know it’s when I’m not sharing it! ¼ C. cocoa (unsweetened powdered variety) – I accidentally used the Hershey’s Special Dark cocoa in one batch and LOVED it. But feel free to use the normal cocoa as well! Combine sugar, cocoa, cornstarch, and salt in 8-cup glass measure. Gradually stir in milk, stirring until cornstarch is completely dissolved. Cook on high (600 – 700 watts) for 7 – 10 minutes, stirring every 2 minutes. Stirring helps to keep the mixture smooth and to keep the milk from boiling over. Cooking is finished when mixture is cooked through and thickened. Stir in butter and vanilla. Pour into individual serving dishes. Cover with plastic wrap pressed down on pudding surface to prevent skin from forming over top. Refrigerate. If you want it a little sweeter, use 2/3 cup sugar. We use a 2 1/2 quart Pyrex bowl and don’t always put it into individual cups. Glad you enjoyed this post - this pudding is so easy and so versatile, I could eat it every day if I kept it around! Yum! 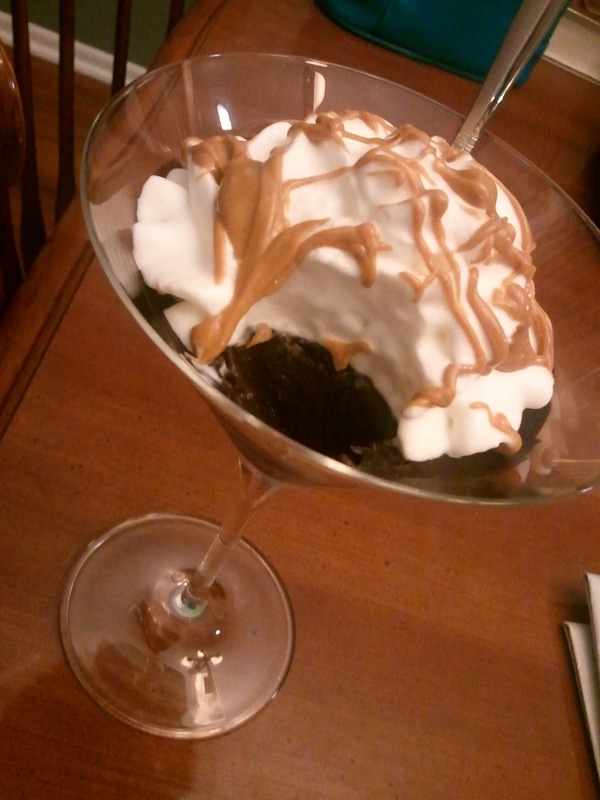 I love the college dorm pudding - I have so many readers tell me they can't make anything in their college dorm/apartment. And this looks so decadent. 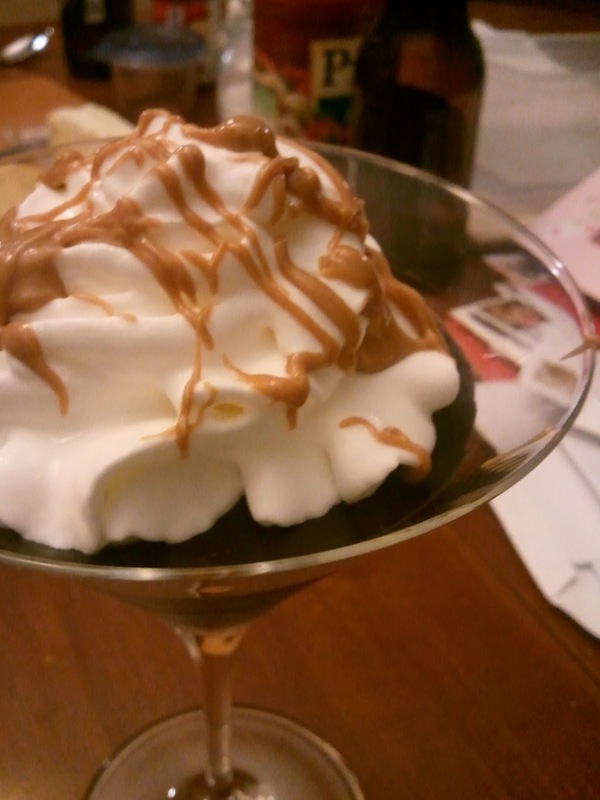 I love home made pudding! Never thought to make it before a couple of years ago...Yours sounds delicious.. Kind of puts Jello to shame! Do you like malt flavor? I made a chocolate malt flavor pudding which I thought was good. It was a chocolate malt pie filling and I only made the filling...Looking forward to your next post! The microwave pudding is not exactly 'elegant,' but it's a huge punch of chocolate and so simple! Probably one of my easiest comfort foods. I never thought about adding malt flavor to the pudding, that would be amazing! My hubby would go nuts for that - thanks for the idea!! A Plate Full of (Brownie) Pigskins!